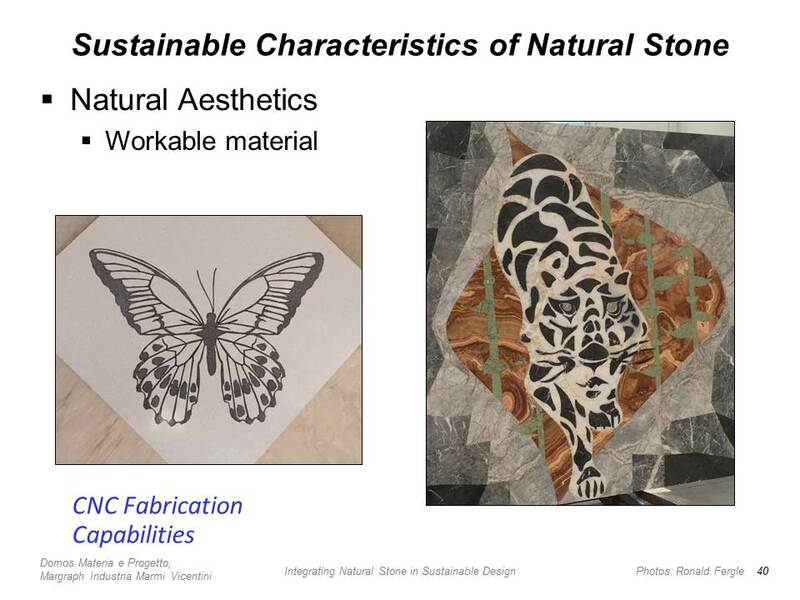 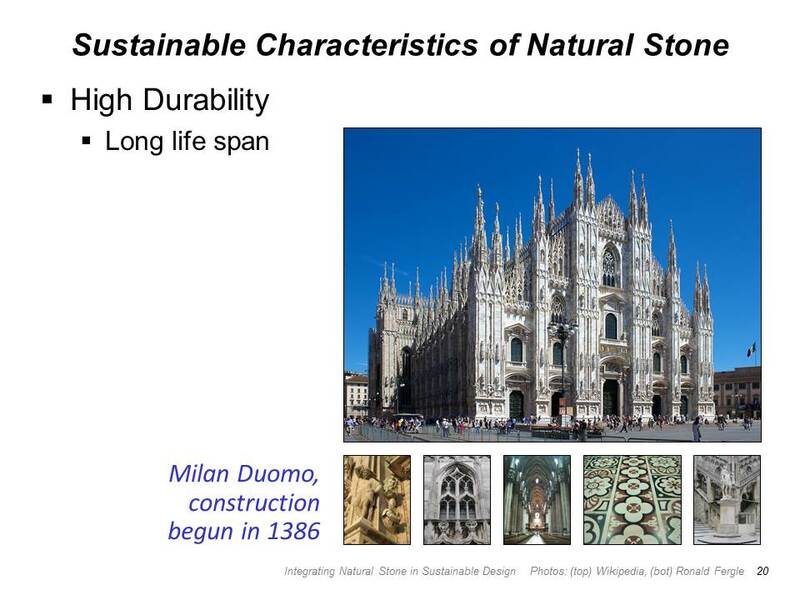 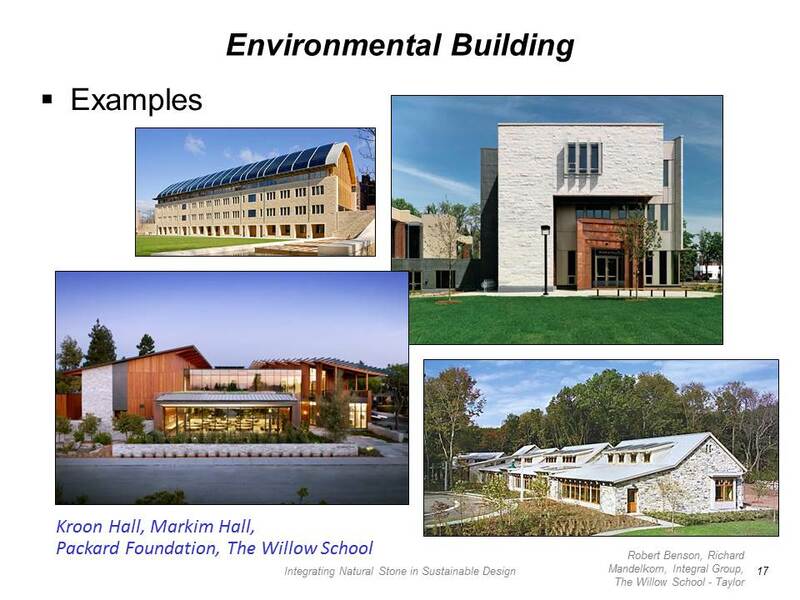 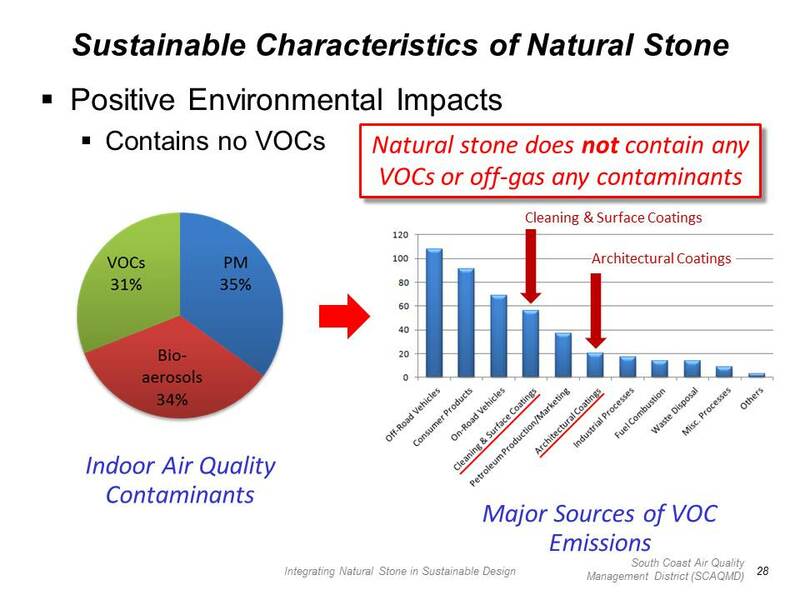 Natural stone is a traditional building material that is also ideal for addressing contemporary environmental, health, and sustainability considerations. 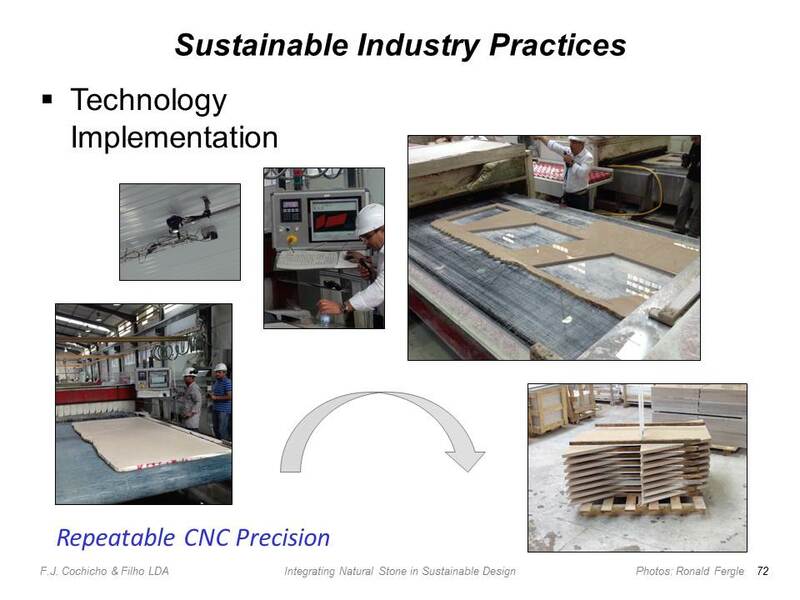 Recent developments in fabricating technology, such as diamond-wire cutting, CNC finishing, and resin treatments, have improved material utilization and minimized waste. 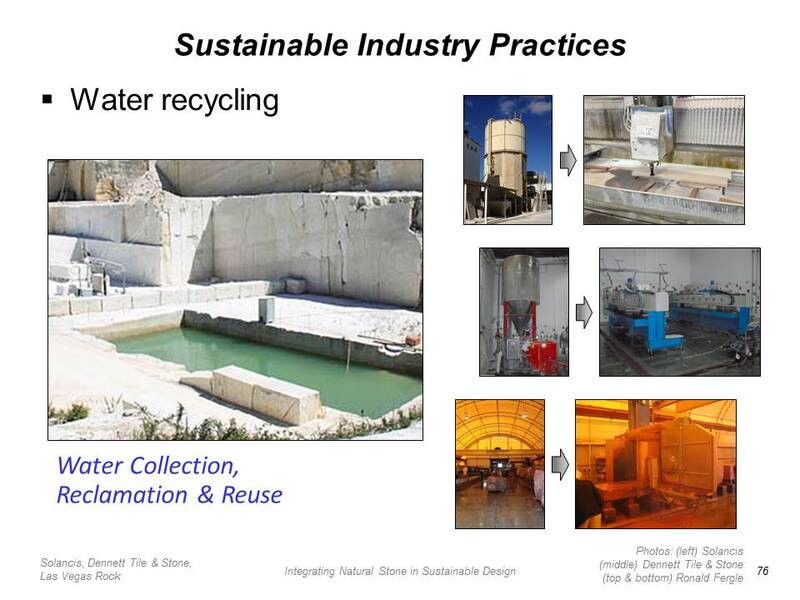 Virtually all quarried stone "waste" can now be collected and utilized in some other type of product, from toothpaste "grit" to roadway foundation preparation. 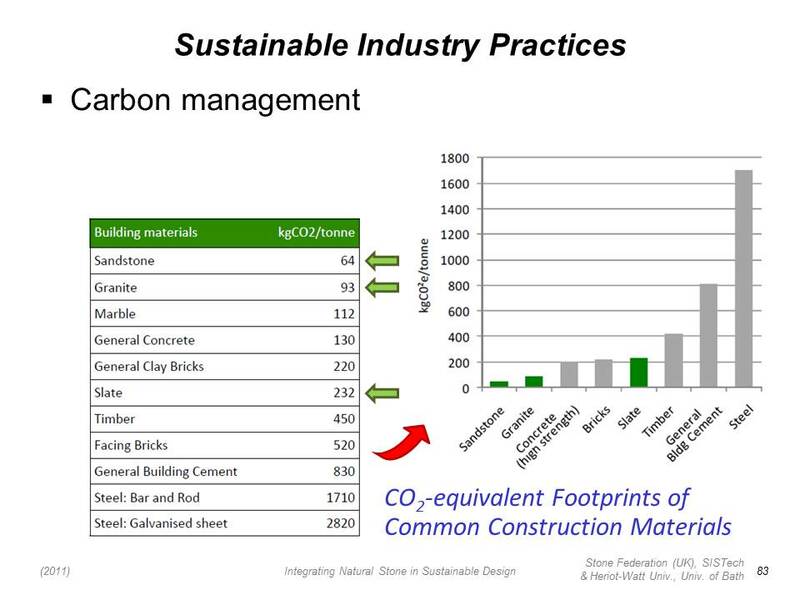 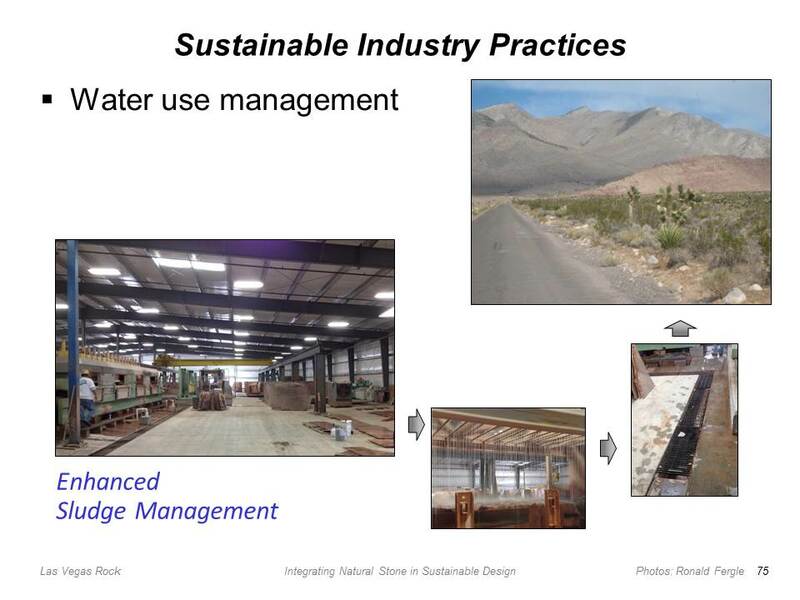 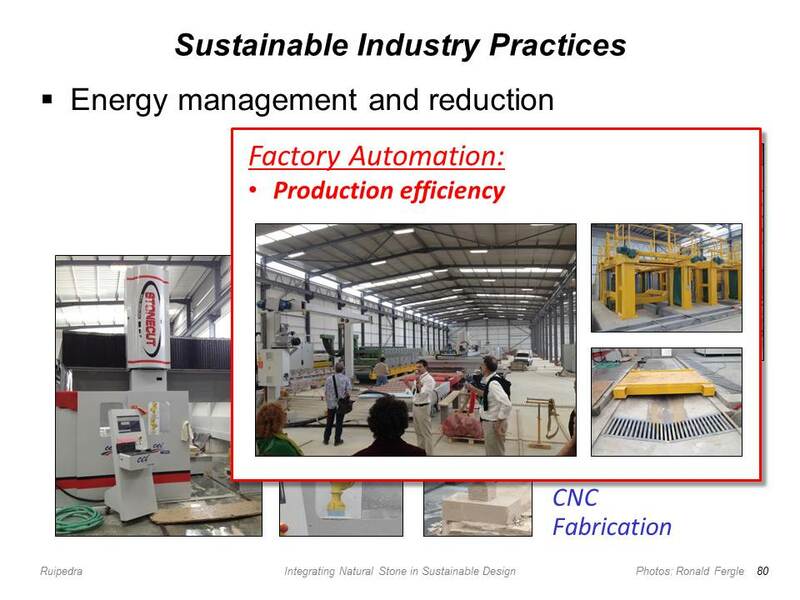 The industry incorporates sustainable practices, including water reclamation, waste reduction, energy management, and carbon-footprint minimization. 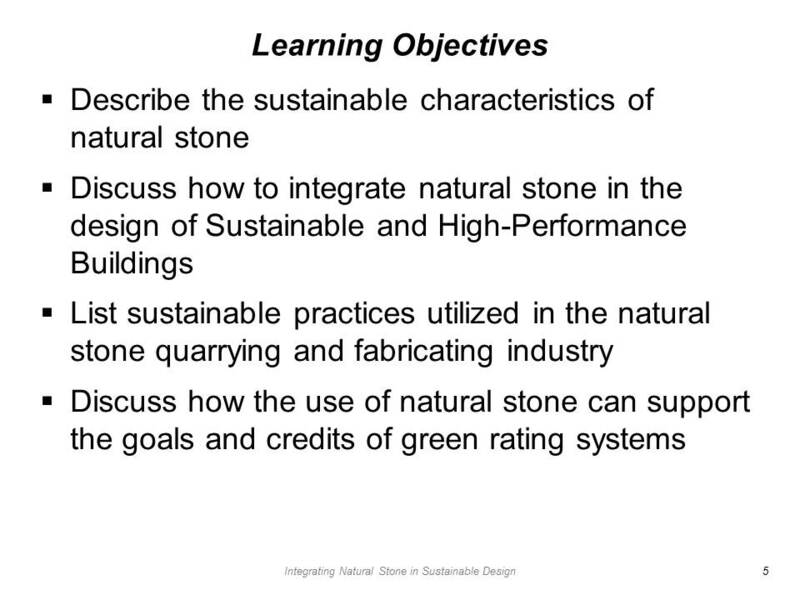 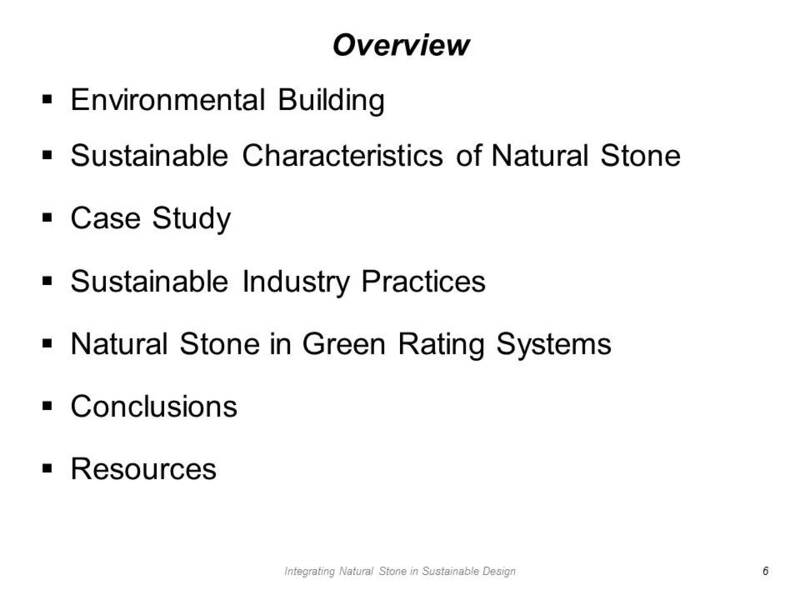 The NSC 373 certification process documents a stone supplier's positive environmental practices. 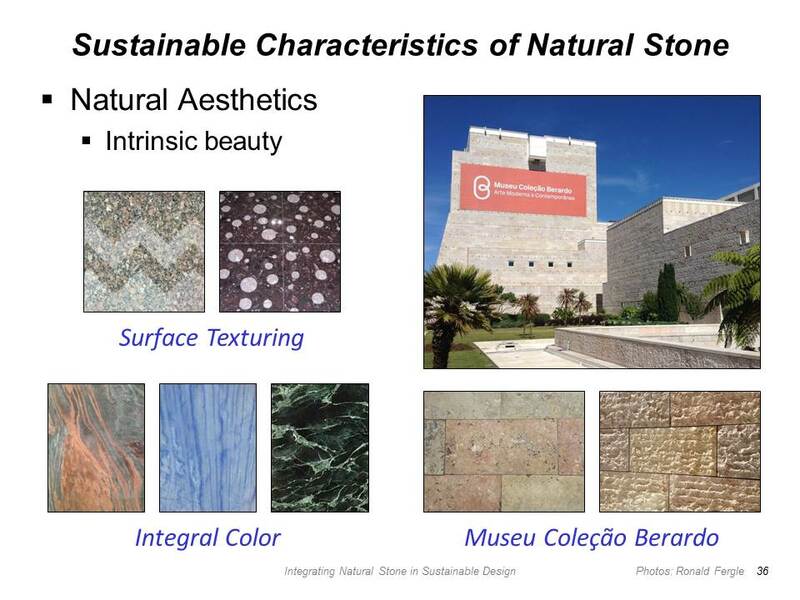 Natural stone has many advantageous characteristics, including high-durability, reuse potential, is volatile organic compound free (no VOCs), requires minimal maintenance, helps stabilize air temperatures (via thermal mass), and exhibits a wide range of integral colors and visual textures that possess a timeless beauty. 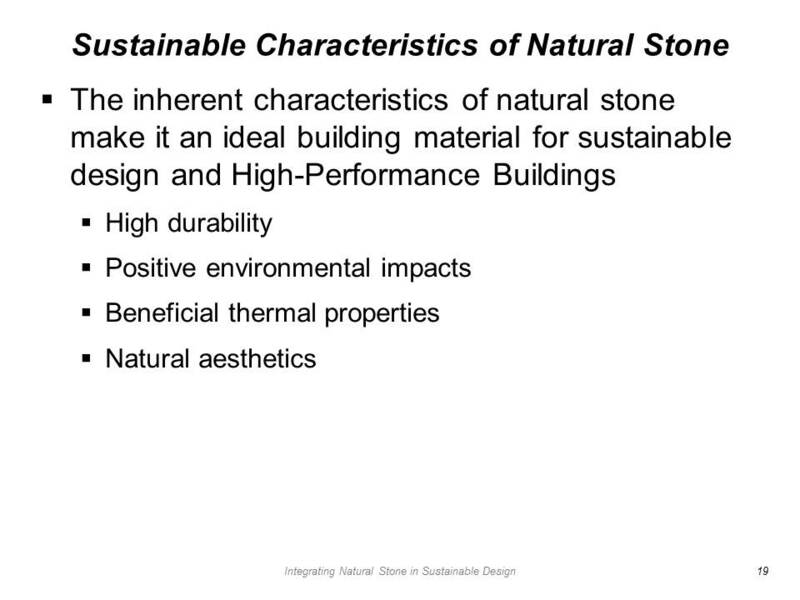 Natural stone is a material that can visually complement other building materials. 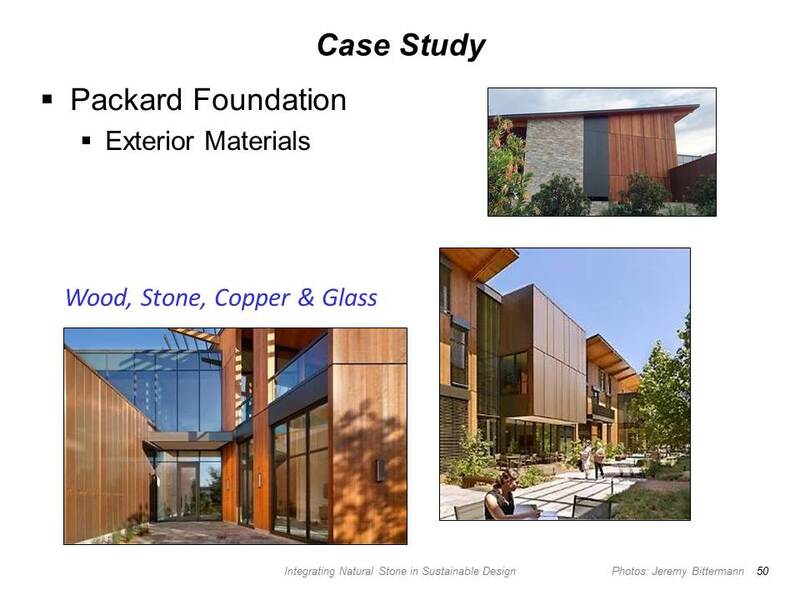 Its surface can maintain numerous fabricated textures, from a high-polish gloss to a rough coarseness. 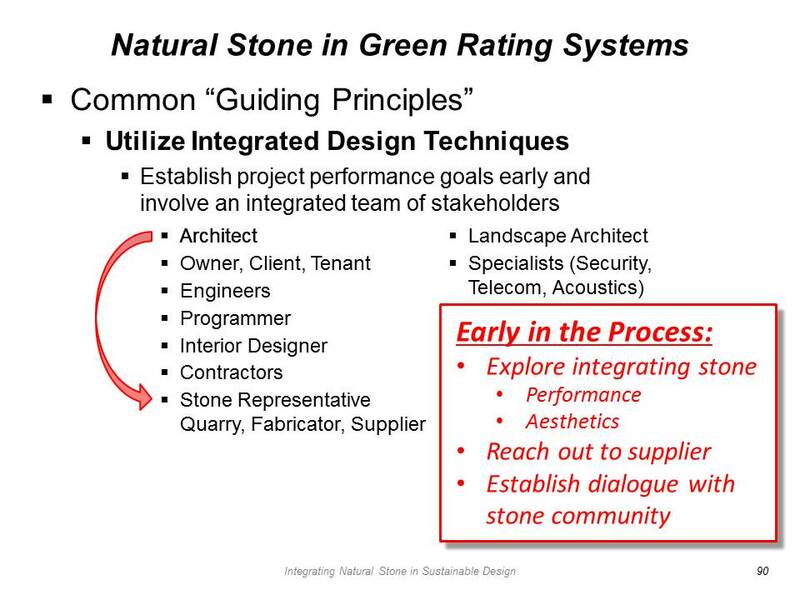 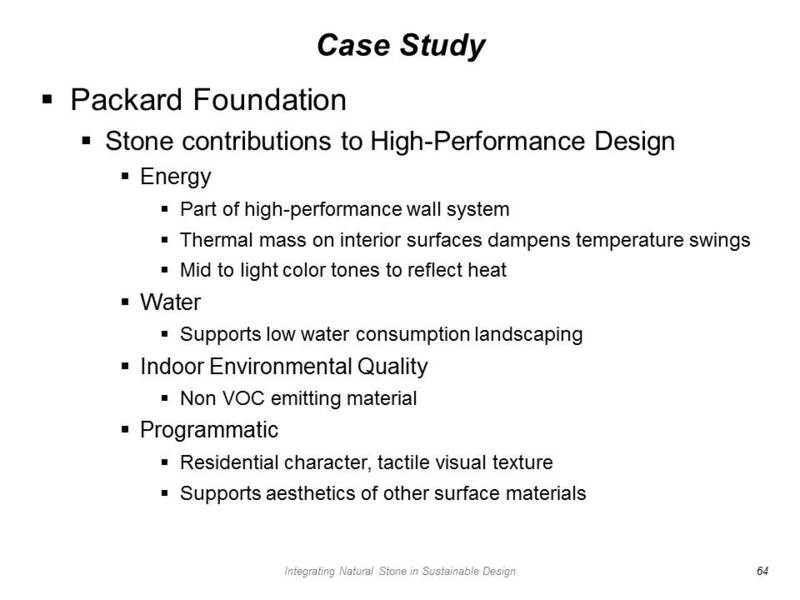 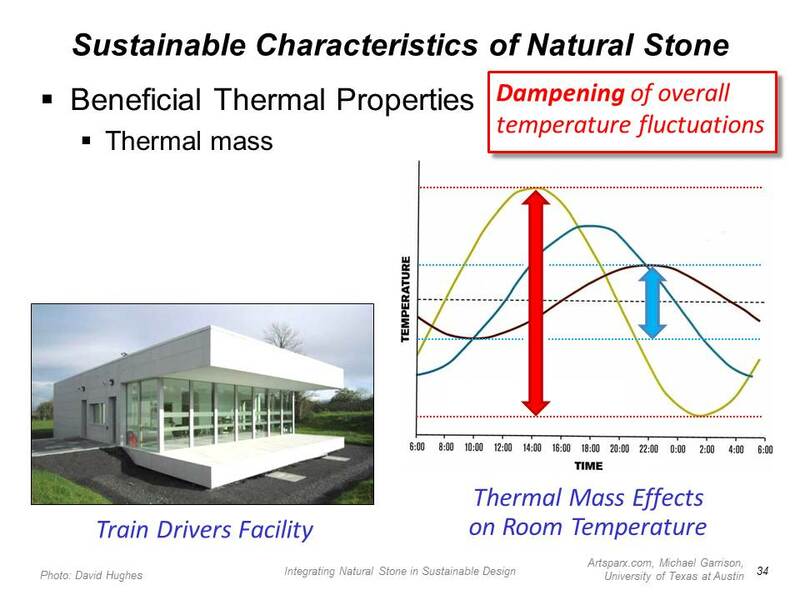 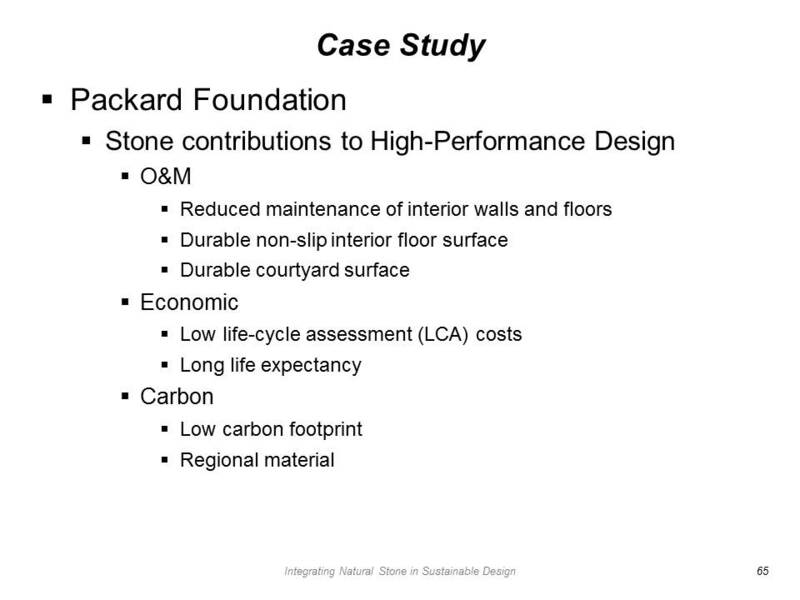 Stone is appropriate for interior or exterior applications; and its implementation can reinforce a building's high-performance energy, occupant health, and overall sustainability goals. 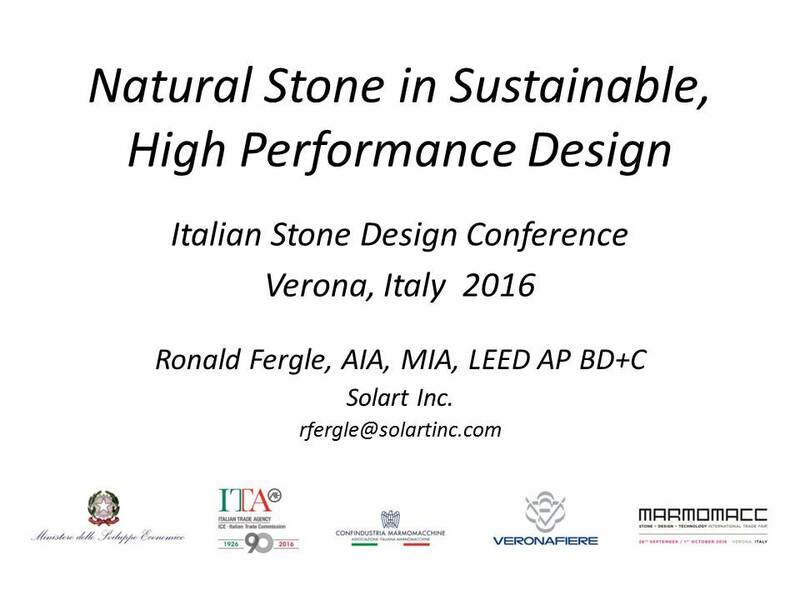 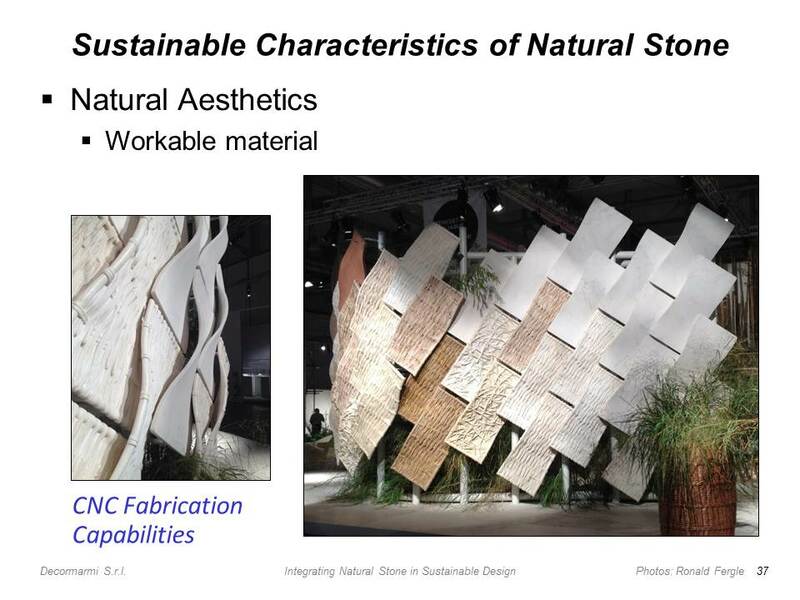 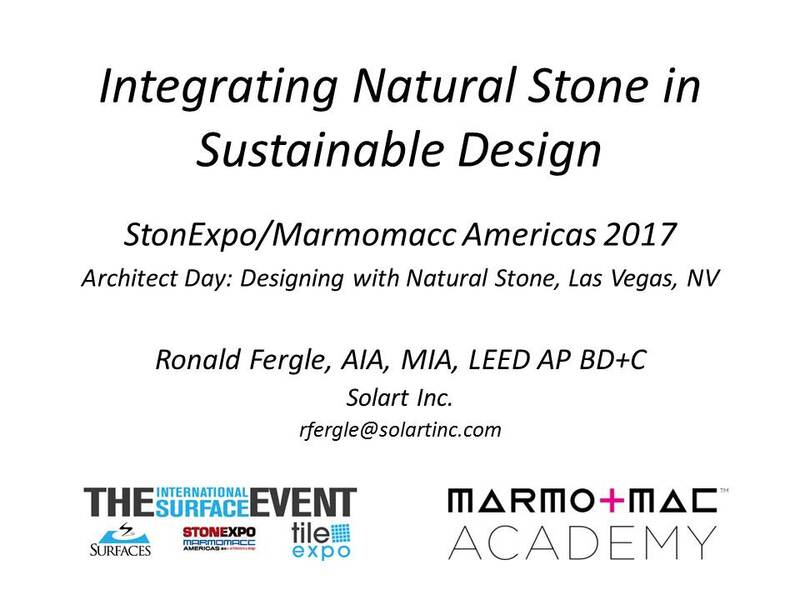 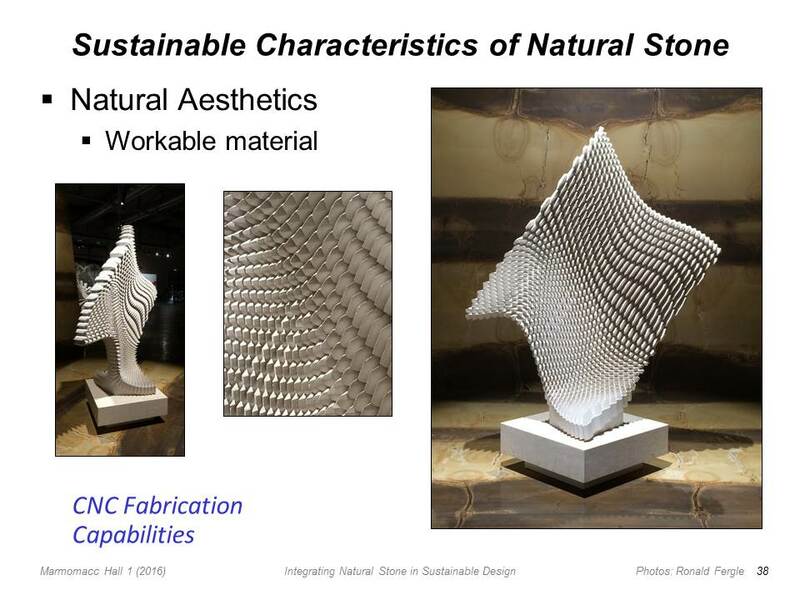 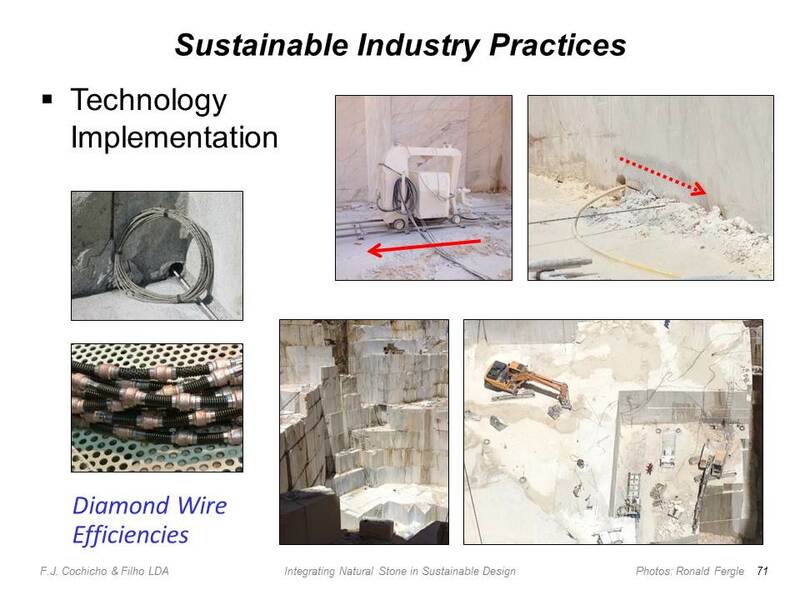 Versions of this seminar have been presented at the 2015 & 2016 "Italian Stone Design Conference" at Veronfiere, Verona, Italy, and at the 2016 & 2017 "Designing with Natural Stone" program at The International Surface Event (TISE West), in Las Vegas, NV.